UPDATE 2/26/19: More available and ready to ship if anyone missed the first run. Well that took a lot longer than I expected... but the High Strength Torsion Tools are finally complete. I tested them on a car in the shop and there's NO WAY these are going to bend, and the 'comfort handle' makes it super comfortable to use. They're $35 each + $5 shipping in the ConUS. Checks can go to the shop, the address is http://www.originalcustoms.com/contact.php. Could these be used to pull front trunk springs on ? I pull on and off the front springs with a pair of leather work gloves. Keep it simple. forgive my ignorance, but what are these torsion tools for? I have a cheap $10 hand winch fixed to the back of my workshop to pull non running cars indoors. That can also work to stretch the spring over the hook on the front trunk but you have to be careful since now you are putting more pieces under tension so wear safety glasses. If you prop the hood all the way open, doing it by hand isn't that hard. Epic... PayPal on it's way.. expect delivery times? Do you do a leather handle? Is this the left or right handed version? Nice! Paypal sent! Thanks, Mark. Thanks for making this! Paypal sent. Absolutely. Just actual shipping cost. PM me your address and I'll work up the price. People will start receiving them next week. Sorry, I'm focusing on Alligator and Ostrich skin work these days. Cow hides are so passé. Not sure how I missed this, but paypal sent. All order shipped today .... a week later than I had hoped. If it's not too late, I'd like one as well. Torsion Tool arrived in today's mail, Saturday 6/9/2018. Excellent! I needed this. Thanks, Mark. excellent tool added to my collect of specialty tools. This would look great hanging in the garage with the other special tool I bought that I don't remember what it is used for. Your logo on the side will help remind me what it is when I finally use it. Whoops, got a bit more sidetracked than I realized. The second batch of orders will go out tomorrow. Sorry guys. I'll take one if you have any left. I’ll make my tool available to those nearby. Any ETA for the latest batch ? Any update ? I haven't received mine yet. All in the mail today. Got mine, going to have it cad plated too...Thanks ! I don't think it'l be an issue with this little tool, but just FYI when I talked with my plater about what the real story was with 'Hydrogen Embrittlement' my main take-away was that it's not a big deal, except on hardened metals. This tool is hardened. I don't think our trunk torsion spring is even close to stressing the metal, so plating is seriously unlikely to cause a problem. But I would talk to someone knowledgeable at your CAD plating shop to be sure. recieved yesterday and will be using it this weekend thanks!!! gone?? 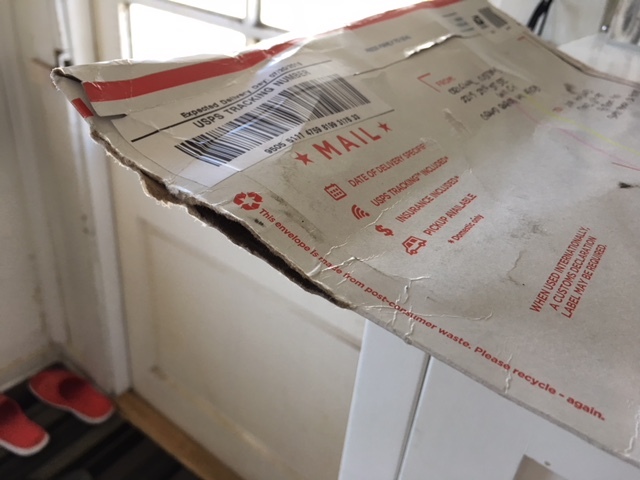 do you think it just tore due to weight or opened by thief? If the tool wasn’t secured I think it chaffed the edge of the envelope; the material is light enough to wear through. Got mine today, seems like it’s a very tight fit ? Two Thumbs Up for a TOP Quality Tool! 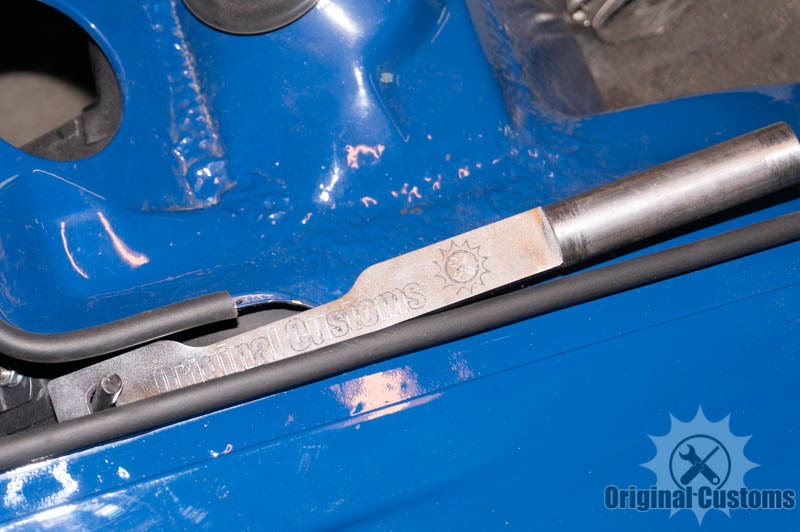 Makes changing rollers and reinstalling rear lid torsion bars easy and safe. 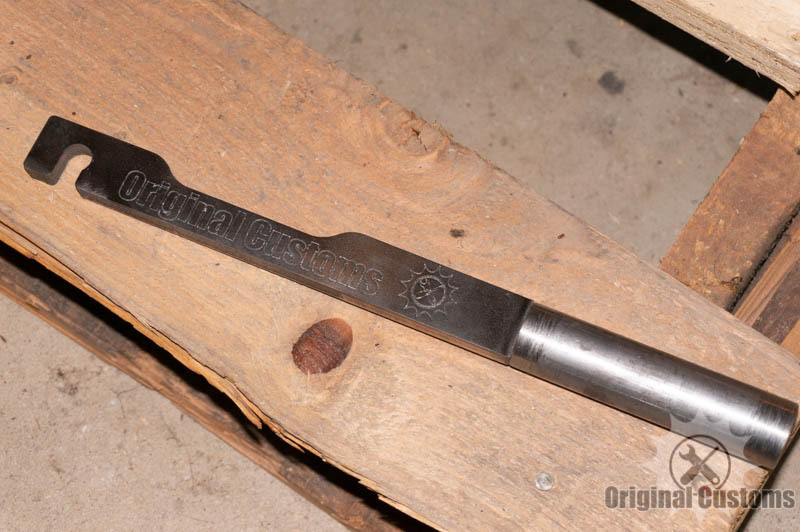 A quality tool in my tool box used many times. Thanks Mark for making these! Paypal sent, great tool for the collection. Thanks!